Ahh, good ole Michigan. Home of the automobile industry, Great Lakes, Wolverines and much more. There are so many beautiful places to explore, including Belle Isle Park, Mackinac Island, Castle Rock and the Sleeping Bear Dunes National Lakeshore and so many cities to visit, such as Detroit, Traverse City, Ann Arbor and Monroe. But why travel to those places in a regular vehicle? Why not ride in style? The state of Michigan is ranked as #23 for highest motorcycle ownership in the United States. The approximate population of those residing in MI is 9,877,143 and of that 9,877,143, approximately 308,338 are motorcycle riders. Owning and riding a motorcycle is such a fun experience for those who enjoy traveling on two wheels. Many motorcycle riders would probably say that the benefits of owning a motorcycle in Michigan would be the cost, insurance, parking and fuel economy. Purchasing a motorcycle generally, tend to cost less than those who would purchase a car. While many are worried about how much insurance it would cost to own a motorcycle, a lot of people don’t take into consideration that it can possibly be lower than expected, if you have a good record. In Michigan, it’s always a challenge to find a good parking spot, especially at sporting events or even, in downtown Detroit. Sometimes, there are parking spots available but are hard to squeeze into, due to it being a pretty tight space. However, when owning a motorcycle, it can save you less time and hassle. Because motorcycles are a lot smaller, it’s easier to maneuver into spaces that seem impossible to fit into. And depending on the size and weight of the bike, motorcycle owners tend to save less money on gas. Being a motorcycle owner gives you a sense of belonging to a community that shares some of the same interests as yourself. It allows you to learn the ins and outs of the motorcycle world and to express yourself in a different way than others. 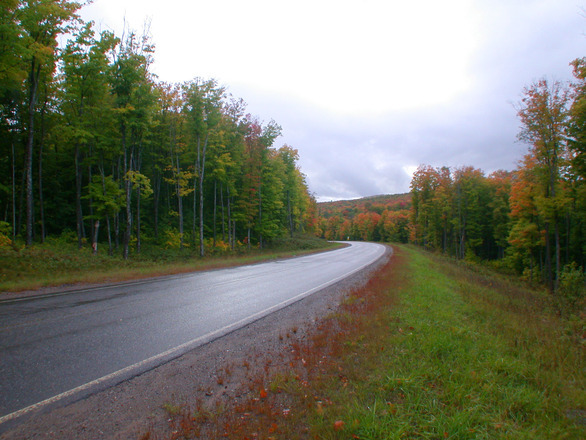 Owning a motorcycle in Michigan is a daring, yet adventurous ride. It’s an experience you don’t want to miss out on. If you’ve had your fair share of motorcycle riding and are looking for someone to sell your motorcycle too, Sell Us Your Bike will gladly take it off of your hands. We are used motorcycle buyers in Michigan and are willing to purchase your bike for a great price. Just fill out our quote form or contact us today and we’ll be sure to get back with you. We look forward to hearing from you soon.